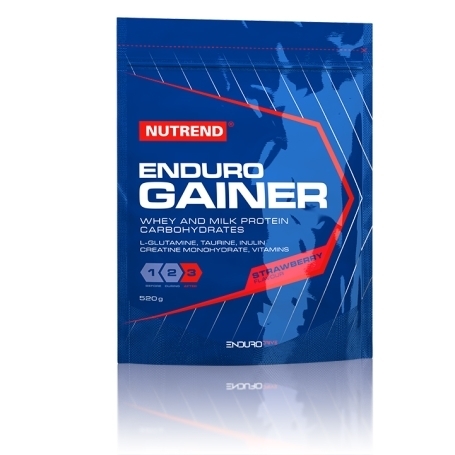 ENDURO GAINER is based on complex carbohydrates and highquality milk proteins. The protein component is represented by WPC (whey protein concentrate) and the saccharide mixture contains so-called fast forms of carbohydrates (maltodextrin, glucose), but also carbohydrates with a low glycemic index (fructose, inulin). 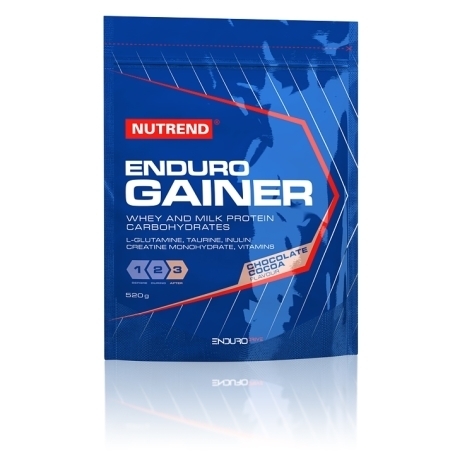 ENDURO GAINER is based on complex carbohydrates and highquality milk proteins. The protein component is represented by WPC (whey protein concentrate) and the saccharide mixture contains so-called fast forms of carbohydrates (maltodextrin, glucose), but also carbohydrates with a low glycemic index (fructose, inulin). 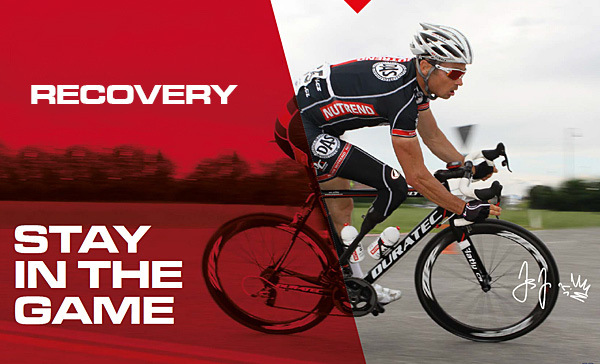 The product is further enriched with bifidus cultures, taurine and the amino acid L-glutamine. 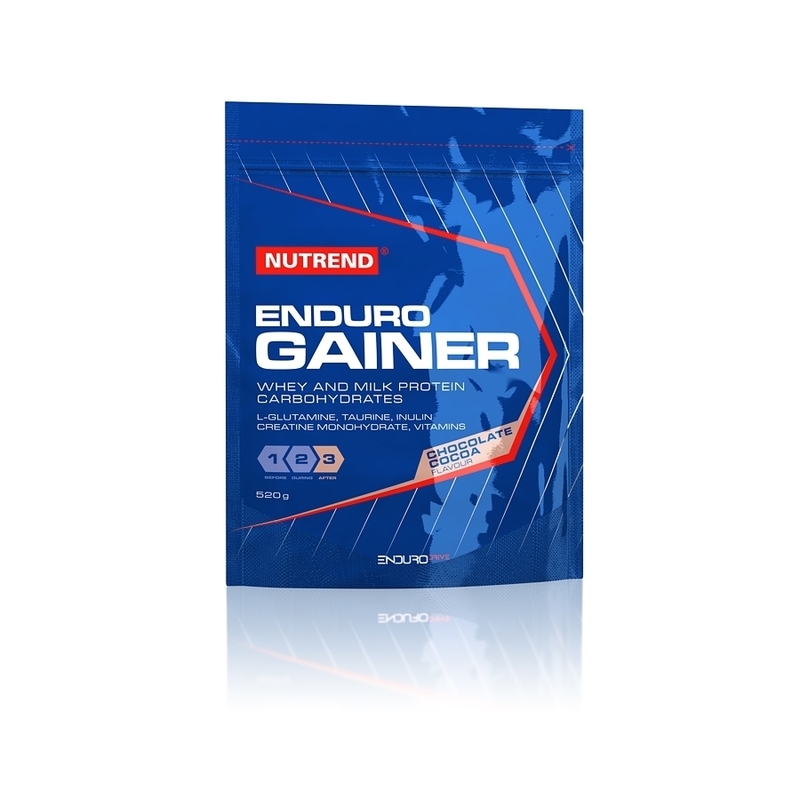 Furthermore, to increase efficiency, we enriched the product with a mixture of vitamins. 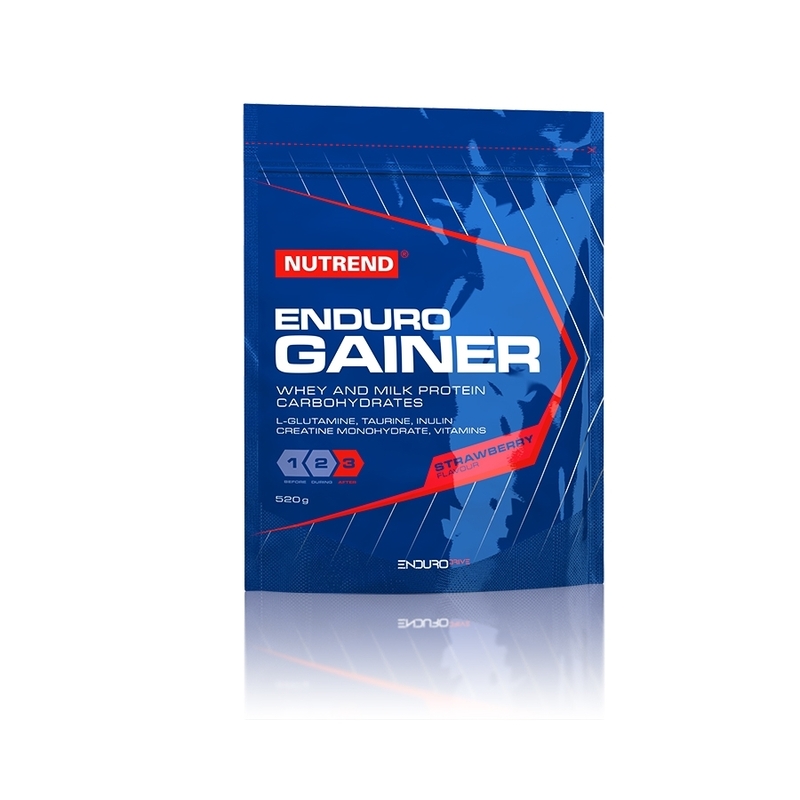 ENDURO GAINER is an ideal help to support your body's recovery after physical activity. The beneficial effect can be achieved when consuming carbohydrates from all sources in a total intake of 4 g per 1 kg body weight. To mix we recommend using the NUTREND shaker. Recommended dosage: mix a dose of 40 g in 200 - 250 ml of water. Use immediately (10 - 20 minutes) after workout. 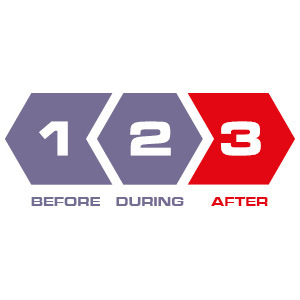 Repeat dosing after 45 minutes to promote recovery. It is recommended to také another dose shortly before bedtime if exhausted after heavy physical exercise. Use: one measuring scoop = 30 g. Measure the recommended dose with the enclosed measuring scoop and mix properly in water. 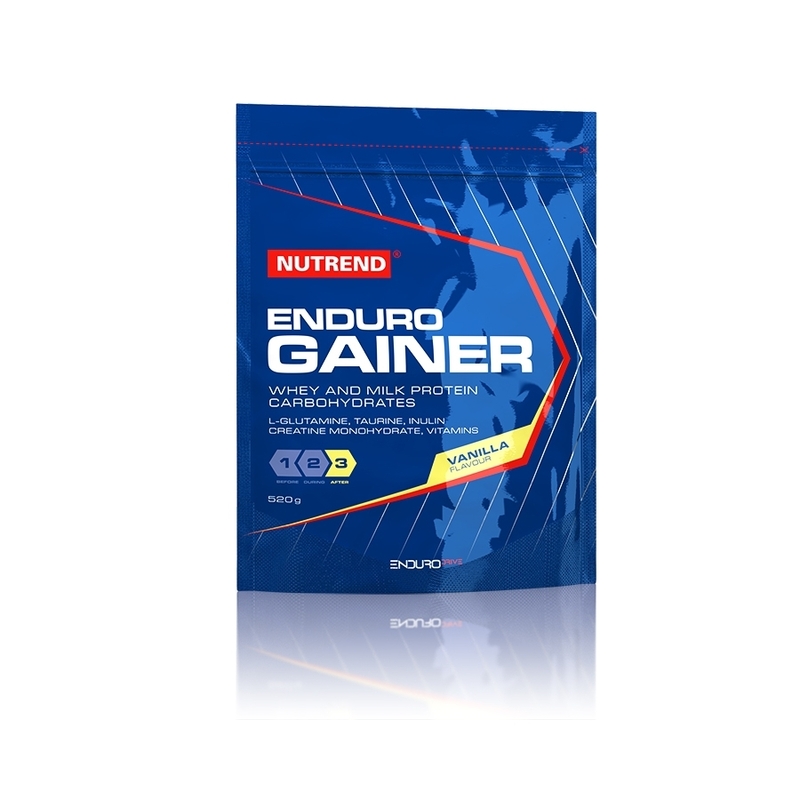 Intended for: energy supply immediately after a medium intense physical activity. Warning: Flavoured non-alcoholic beverage enriched with vitamins, taurine, glutamine and creatine, with sugars and sweeteners. Fomulated especially for athletes. Not intended for children, pregnant and nursing women. Store in a dry place at a temperature that does not exceed 25 °C and away from direct sunlight. Do not freeze. Producer is not liable for any damage caused by improper use or storage. Ingredients Chocolate + cocoa flavour: maltodextrin, dried sweet whey, whey protein concentrate, dried whole milk, cocoa, glucose, fructose, inulin, emulsifier soy lecithin, taurine, bifidus cultures (Bifi dobacterium sp, Lactobacillus acidophilus), anticaking agent calcium phosphate, L-glutamine, anti-caking agent silicon dioxide, vitamin premix (L-ascorbic acid, DL-α-tocopherol acetate, nicotinamide, calcium D-pantothenate, pyridoxine hydrochloride, riboflavin, thiamine mononitrate, pteroylmonoglutamic acid, D-biotin, cyanocobalamin), creatine monohydrate, sweeteners acesulfame K and sucralose. For allergens see ingredients in bold. 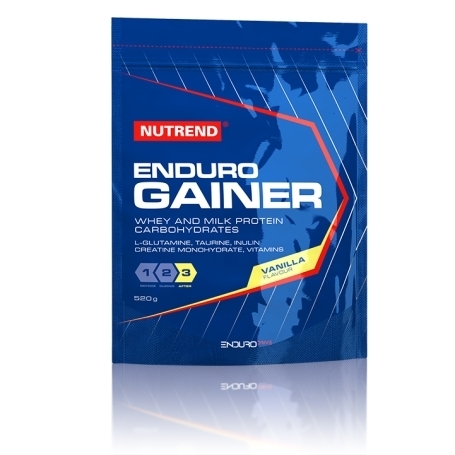 Ingredients Vanilla flavour: maltodextrin, dried sweet whey, whey protein concentrate, dried whole milk, glucose, fructose, inulin, emulsifier soy lecithin, flavouring, taurine, bifidus cultures (Bifi dobacterium sp, Lactobacillus acidophilus), anti-caking agent calcium phosphate, L-glutamine, anti-caking agent silicon dioxide, vitamin premix (L-ascorbic acid, DL- α -tocopherol acetate, nicotinamide, calcium D-pantothenate, pyridoxine hydrochloride, ribofl avin, thiamine mononitrate, pteroylmonoglutamic acid, D-biotin, cyanocobalamin), creatine monohydrate, sweeteners acesulfame K and sucralose, colouring agent beta-carotene. For allergens see ingredients in bold. Ingredients Strawberry flavour: maltodextrin, dried sweet whey, whey protein concentrate, dried whole milk, glucose, fructose, flavouring, inulin, emulsifier soy lecithin, beetroot concentrate, taurine, bifidus cultures (Bifidobacterium sp, Lactobacillus acidophilus), anti-caking agent calcium phosphate, L-glutamine, anti-caking agent silicon dioxide, vitamin premix (L-ascorbic acid, DL- α ­-tocopherol acetate, nicotinamide, calcium D-pantothenate, pyridoxine hydrochloride, riboflavin, thiamine mononitrate, pteroylmonoglutamic acid, D-biotin, cyanocobalamin), creatine monohydrate, sweeteners acesulfame K and sucralose. For allergens see ingredients inbold.